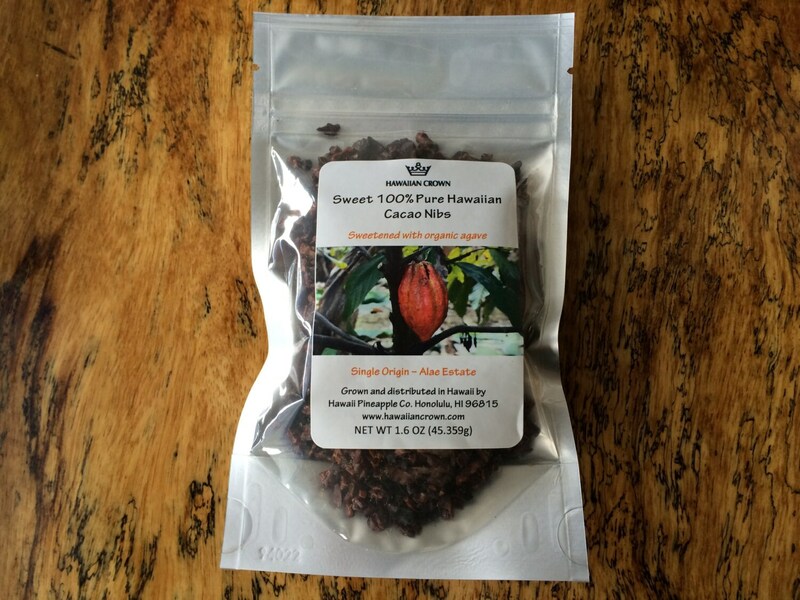 Hawaiian Crown cacao is all grown here on the Big Island of Hawaii, in our Alae Estate overlooking Hilo Bay! The beans are harvested, fermented and sun dried, small batch roasted (5 lbs at a time), then winnowed (the process of grinding into bits and removing the skins) into nibs. 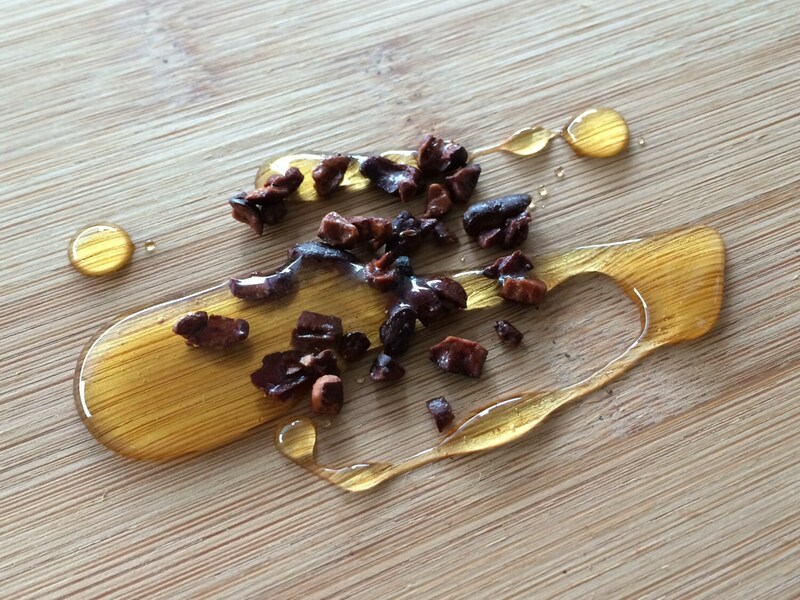 Then we toast them with agave nectar for a lightly sweetened taste, and bag up for you to enjoy. Cacao is a natural superfood and high in antioxidants! If you have not tried them before please be aware that they can be an acquired taste as they are strong flavored and bitter, with a nut like texture. 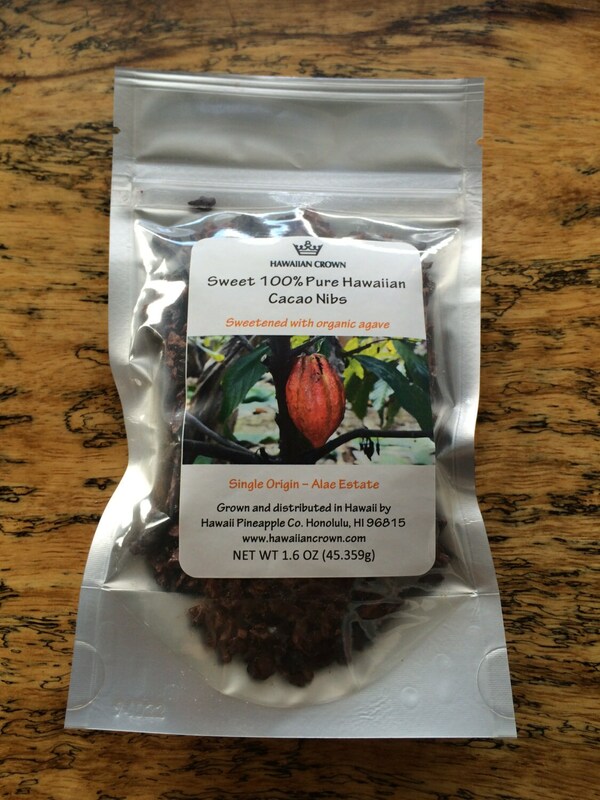 Cacao grown on our Hamakua Coast Hawaiian soil also has a signature slightly fruity aftertaste. All cacao contains theobromine (meaning, "food of the gods! "), which is a natural vasodilator and heart stimulant, so it is a good for those with high blood pressure. But because it is a stimulant (less so than coffee), eating them late at night may keep you up. 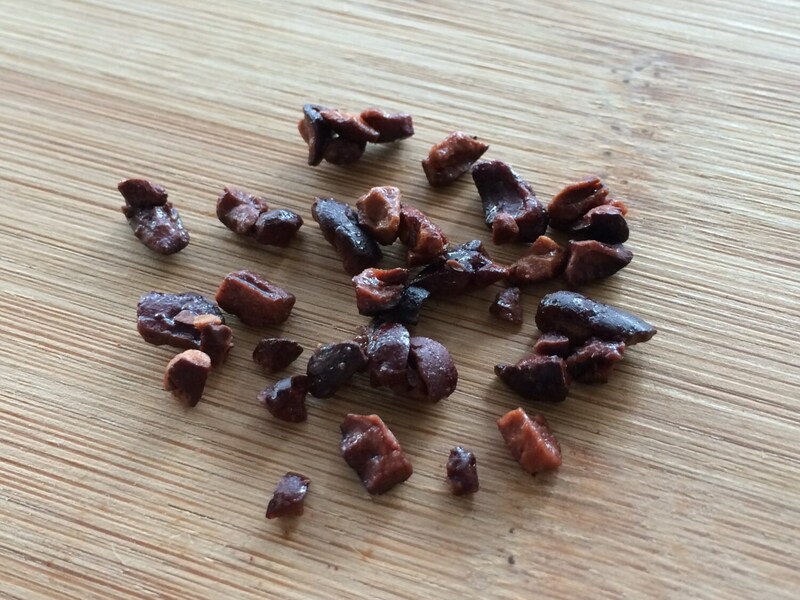 Nibs can be snacked on as is, or added to smoothies and baking mixes. They also make great toppings for acai bowls, yogurt, cereal, and ice cream! Really the possibilities are endless! Packaged in 12oz airtight resealable bag. Unopened package will keep maximum freshness for 6 months-1 year if stored in cool, dry area. Opened package should be kept resealed and stored in a cool, dry area as well, for maximum freshness up to 6 months of opening. For best results keep at 60ºF or cooler. Hawaiian Crown Plantation and Chocolate Factory, located on the Big Island at 160 Kilauea Ave, Hilo, Hawaii 96720. Or visit our Waikiki location at 159 Kaiulani Ave #105, Honolulu, HI 96815. We accept PayPal and direct checkout with all major credit and debit cards. We do not accept checks, money orders, consignments, or Net30. No product will be sent until payment is received. Hawaii buyers must pay 4.16% sales tax. Orders may be cancelled, altered, and shipping costs combined if we are alerted before shipment. We ship all packages USPS First Class Mail, unless requested otherwise prior to shipping so we can adjust freight costs. From Hawaii Island, packages can take about 3 days to reach the West Coast of the US mainland, and about 5 days for the East Coast (not including Sundays). Expect longer times during holidays, and in the event of hurricanes and tropical storms (our hurricane season is generally from June-November). Unfortunately at this time we can only accept returns of unopened goods within 30 days of purchase. Buyer must pay for shipping, and we will not refund money until we receive the product. Please read descriptions carefully. Exchanges and store credit can be honored with unopened products only, and again, buyer will be responsible for all shipping costs. As a small batch food producer we keep a keen eye on quality control, making sure everything is fresh, and take pride in only selling what we would wish to eat ourselves. But if you do happen to receive an item that is unfit for consumption, i.e. contains bugs, is molding, etc, please alert us within 7 days of receiving the faulty product with an email description and photos. Once confirmed, we will either resend a new item at no cost to you, reimburse you, and/or allot you store credit, depending on which you prefer. Q: Does your cacao contain caffeine? A: Very very minutely to the point of basically being "no." Cacao instead has theobromine, which is a mild stimulant (hence some people feeling a chocolate buzz!). Theobromine's stimulant level normally falls between black tea and coffee, but affects each person a little differently. Q: I have a gluten allergy. Are your products gluten free? A: YES! It boggles our mind that anyone puts gluten into chocolate! I mean, we understand why, but we believe in simple and real foods, so we don't ruin it with any additives, fillers, or preservatives that can cause allergic reactions like sulfites (contained in many dried fruits). Q: Will you ship outside the USA? A: Since we sell foods we have kept sales within the US, but as we learn about different shipping regulations and costs we will begin to expand shipping select products to other parts of the world. Q: Will you ever sell your chocolates online? © 2019 Hawaiian Crown Plantation & Chocolate Factory.